Pictured are L-R: (Front Row) Jack Ison, Jimmy Congleton, Ike Norris, ?, William Ray Salyer, Dale Carrier, Freddy Ballou, ?, ?, ?, ?, ?, Roy Kidd. (Second Row) Bob Pike, ?, Jerry Congleton, Earl Combs, Talbott Todd, Ben Robinson, Bobby Oglesby, Johnny Collins, David Eads, ?, ?. (Back Row) ?, Charlie Brown, George Adams, Monty Joe Lovell, David Rivers, John Davidson, Conrad Long, Barry Cox, ?, ?. 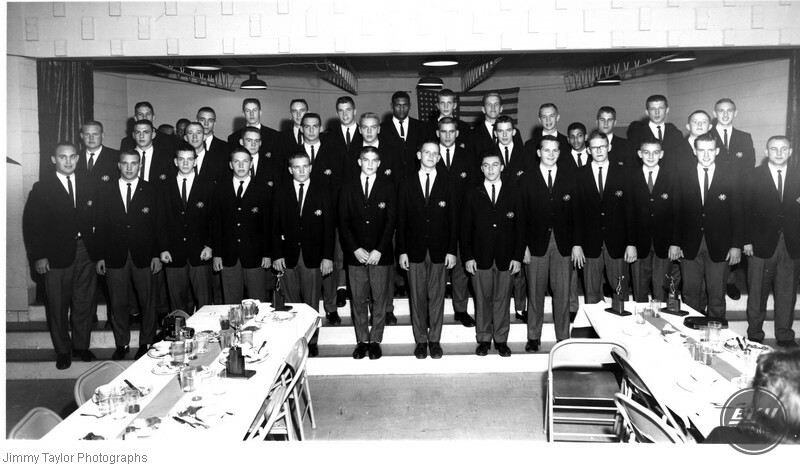 Taylor, Jimmy, “Madison High School Football Team,” Digital Collections, accessed April 21, 2019, https://digitalcollections.eku.edu/items/show/24363.